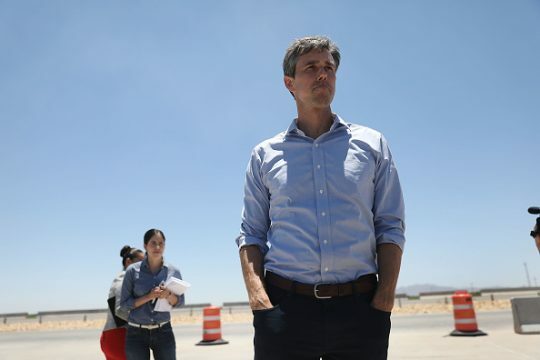 Former congressman and failed Senate candidate Robert Francis "Beto" O'Rourke questioned the relevance of the United States Constitution in a recent interview with the Washington Post. "I’m hesitant to answer it because I really feel like it deserves its due, and I don’t want to give you a — actually, just selfishly, I don’t want a sound bite of it reported, but, yeah, I think that’s the question of the moment: Does this still work?" O’Rourke said. "Can an empire like ours with military presence in over 170 countries around the globe, with trading relationships . . . and security agreements in every continent, can it still be managed by the same principles that were set down 230-plus years ago?" O'Rourke, a possible 2020 contender for the presidency, was unclear what constitutional principles he may want to change. Democrats have been critical of President Donald Trump for what they perceive as him violating the country's norms and the Constitution. "Whoever is running may very well be running against somebody who has not the slightest respect for our norms, our traditions, civility, dignity, decency and public life," O'Rourke said in December of Trump. During his campaign for the Senate, O'Rourke said he wouldn't run for president, but he has since changed his mind and has been contemplating a 2020 campaign. He has received one public endorsement from former Maryland governor and presidential candidate Martin O'Malley. This entry was posted in Politics and tagged Beto O'Rourke, Constitution. Bookmark the permalink.